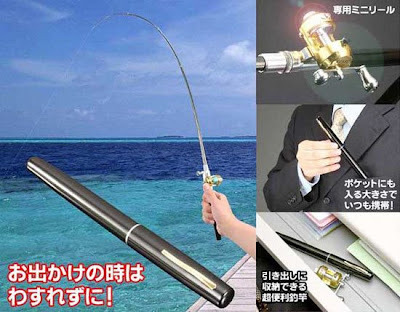 This pen turns into a fishing pole!! Would make a great belated Father's Day Gift! Only 2800 yen, purchase via Rinkya Stores! Rinkya's Favorite Links of the Day! 3D TV- Only in Japan! Ponyo On A Cliff Free Gift With Tickets! New Ponyo On A Cliff By The Sea Images! A Rinkya Blog New Layout! Indiana Jones Japan One Cent Figures SO CUTE! !